Electronic Arts recently launched the beta of C&C Tiberium Alliances, a typical "stragegy" management browser game, with small battles played like a simplified tower defense. The game itself is quite boring and dull (I lasted around two days until leaving it for boredom), but I don't want to talk about the game itself. 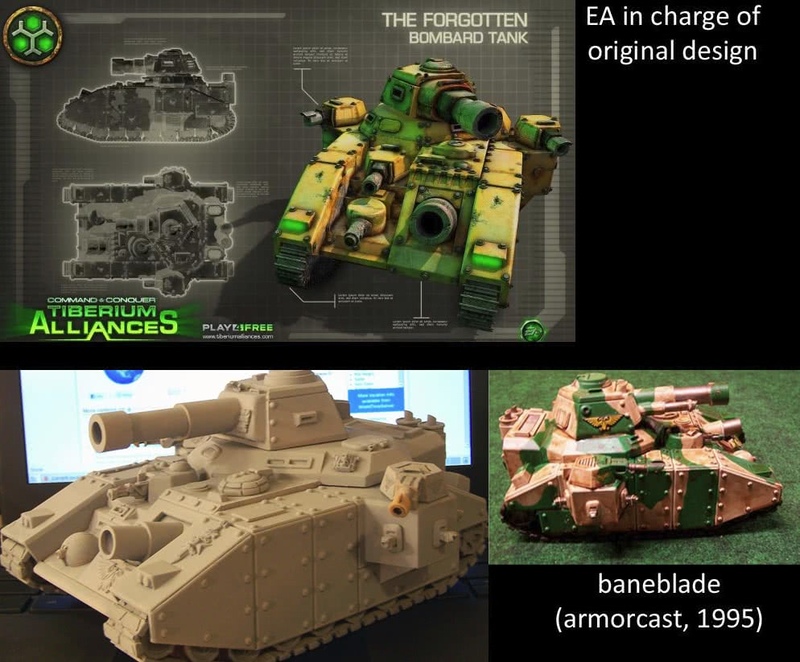 A friend just sent me a Reddit link in which people have discovered that EA is directly ripping/stealing Games Workshop's Warhammer 40.000 tank models for the game. I've seen non-profit fan-made projects being shutdown or sued for much less "ip-violation", plus being EA the greedy ones they are... I would love to see them sued by GW. 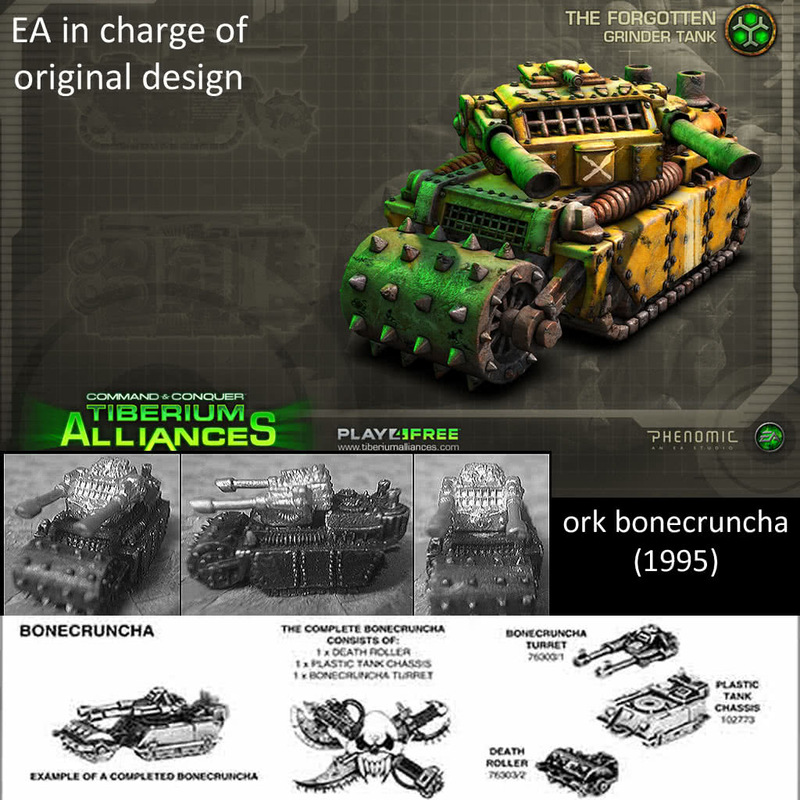 Update: EA reply, with excuses of early model designs (curious then that they surfaced on the web if were discarded early ;) and remembering "the net" (maybe also GW?) that they distribute Warhammer Online. So probably nothing else will happen.